Name of Bhavbhuti is cited whenever there is talk of Rang manch (stage art) in the world. Bhavbhuti was not only a poet of pathos but also an actor of at the stage. About 1200 to 1300 years ago Bhavbhuti through his NATAKS (dramas) gave completeness to stage art (Rangmanch)which even today is significant for those who appreciate Nataks (dramas) Although prior to Bhavbhuti kalidas etc. important poets and dramatists enriched Indian literature with their poetry and writings but Bhavbhuti in Madhya Bharat region through his plays in 7th-8th Century, did play an important role to make people of that erato enjoy dramas. This is illustrated by various proofs found in th latest archaeological evacuation. Where did Bhavbhuti hail from? To which region from his description found in his leterature indicate? From these datas various claims have been put forward by literary people about his place of birth and area of his works; some claim him to be of the south and some of the vidharbh. In his plays Malti Madhav and Mahavir Charit -namak while depcting his dynasty Bhavbhuti mentions that his ancestors hailed from Padampur town. His father's name was Neelkanth and that of pitamah (grand father ) was Gopal. His mother's name was Jatukarni. Jagadhar critic of Malti Madhav by assuming Padampur as Padmavati has written that Bhavbhuti had special love for Padmavati in the same manner as kalidas had for Ujjaini. He has emotionally and whole heartily gave aliving description of and by this important description of Padmavati if transpires that this is his birth place. The description givern by Bhavbhuti goes a long way in deciding the geographical conditions of Padampur or Padmavati. As per Bhavbhuti the town of padmavati is surrounded by two rivers Sindhu (Sindh) and Para(Parvati). There is the sacred sangam of Sindh Parvati and Madhumati at this juncture (Sangam)there is Shiv temple from times immemorial. At a little distance there is a small river Lavna. During rainy season people to to banks of Lavna for recreation. 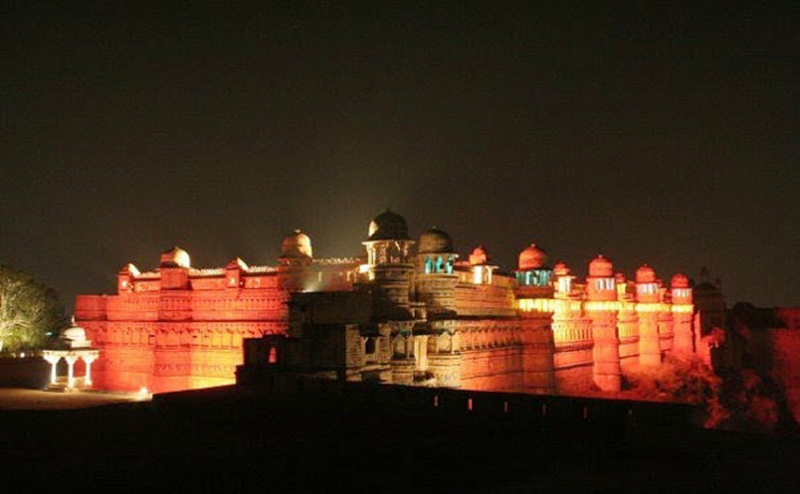 Useful geographical features presented in MALTIMADHAV is a place of the village Pawaya -65 K. Ms. southern east of Gwalior. As regards the place of birth of Bhav Bhuti there is primary indication as Pawaya in the book of General Kanghim in his book(COINS OF MEDIAEVAL INDIA). By the sudy of the geographical description given by Bhavbhuti, General Kanighim arrived at the conclusion that padmavati mentioned in Malti Madhav is in fact Padampur and present village Pawaya is old Padmavati. Pawaya village is near to place where two rivers Sindhu(at present Sindh) and Para (Parvati) join. Madhumati river is Madhu or Mohar river and Lavna river flowing towards the north , is at present known as Nun or Lun river. The opinion of General kanighim is coroborated by the conclusion arrived at by "Garde Sahib" observations of archaeological works of exvations. In a similar manner M. B. Lale has in his work Malti Madhav proved that present village pawaya is Padmavati the real place of birth of Bhavbhuti. Bhavbhuti was in between the end of 7th century and mid of 8th century. Bavbhuti could not get assistance from any ruler. Rulers neglected him. That is why he started loving pathos and pains and was adjudged as the best poet ot "KARUN RAS" In his last days he was in the Darbar of Raja Yashvarman. Three works of Bhavbhuti are available, viz Malti Madhav, Mahavir chairitam and Uttar Ram chiritam. 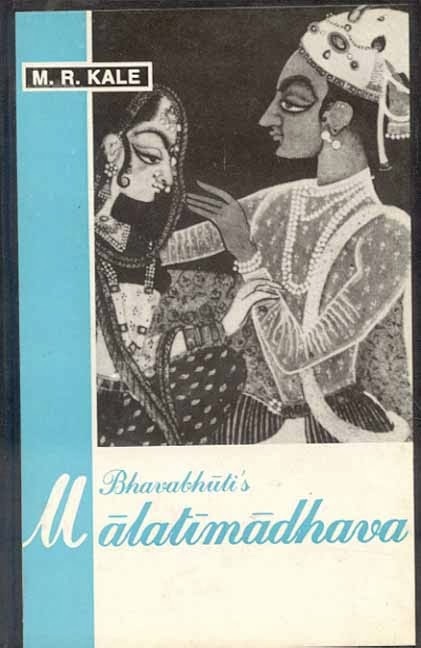 MALTI MADHAV- This is a play of 10 acts. In this Madhav s/o Devrat minister of vidharb Malti daughter of Bhurivdsu minister of Padmavaties love story is describes. In this kingaras loves and romance is at the top. There is combination of history and immaginations. MAHAVIR CHIRITAM - This is a play of 7 acts . Ther is history of life of Lord Rama. In it Rama's marriage Rama's exile, Sita kidnapping and Rama's enthroning have been told. UTTAR RAM CHIRITAM - This play of 7 acts magnifies the importance of Bhavbhuti. In this there is story of Lord Rama's advent of life. There are differences in description made by Bhavbhuti when it is compared with the Ramayana Bhavbhuti has by his immagination and wisdom acts described in 7facts of the occurences of Ramayana. In the end Sita is proved innocent with the result peoples suspicions are removed.